On the death of the Rev. 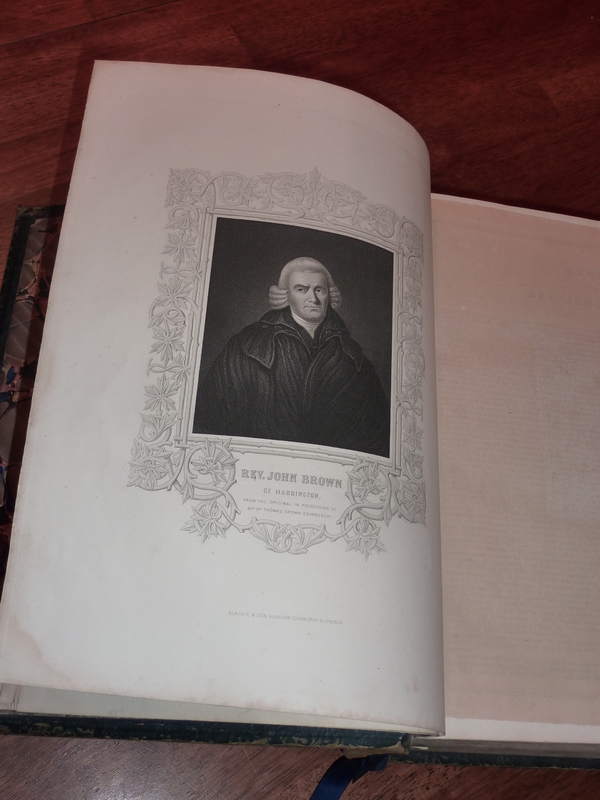 J. Swanston of Kinross (1768), the professor of divinity for the Burgher branch of the Secession, Mr. Brown was elected to fill the vacant office; nor were they at all disappointed in their choice. The ability and attention with which he fulfilled the various duties of that important charge, met with universal approbation. He found it was absolutely necessary to support the dignity of a teacher amongst his students, but could not help discovering, at the same time, the affection and anxious solicitude of a father for his children, which, on their parts, was rewarded with confidence, love, and obedience. He treated them with the greatest impartiality; or, if piety, talents, application, or exemplary conduct, in any case inclined him to a preference, he was careful that it should never be observed. To promote their best interests, he was unwearied in his labours of love. That he might satisfy himself that the young men were improving their time, he used to visit them at their lodgings early in the morning, to see that they were properly engaged. The ordinary course of attendance on the divinity lectures was five sessions, of two months each. In his View of Natural and Revealed Religion, and the Cases of Conscience subjoined to his Practical Piety, we have a connected view of the substance of all these lectures. His General History of the Church, as well as that of the British Churches, were originally intended for the use of his students. He ever considered personal piety the most essential qualification for successfully discharging the various and important duties of the ministerial office; and accordingly pressed on his students the pre-eminent interest they themselves had in the doctrines they were to preach to others; assuring them, that divinity was to be studied in a very different way from that of a system of philosophy; and that, without heart-religion, they must necessarily continue unprofitable students of theology. He urged, moreover, by all means to make themselves thoroughly acquainted with the oracles of God in the original languages; and, next to these, with the writings of Turretine, Owen, Boston, Fisher’s Marrow of Modern Divinity, the Erskines, and Hervey’s Theron and Aspasio, with his Defence against Wesley. The serious and solemn manner in which, on particular occasions, he was in the habit of addressing his students, but especially on parting at the end of the sessions, seldom failed in melting both the speaker and hearer into tears and of leaving the best impressions on their young minds; and the many able and acceptable ministers, in Great Britain and Ireland, who had been trained up under his tuition, afford the most convincing proof of his success in this department of his manifold labours.